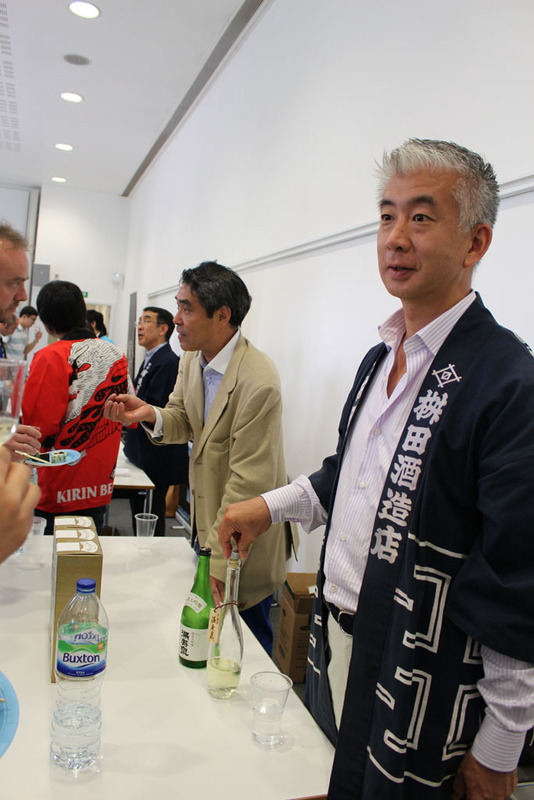 On 28th June at the Saïd College Business School in Oxford, a delegation representing Japanese sake makers gave a talk on sake followed by a tasting reception. 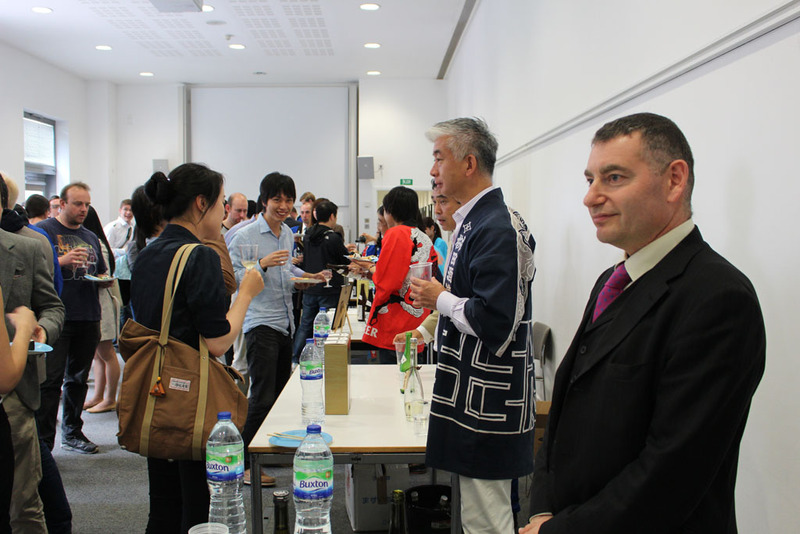 This prestigious and popular event offered students a rare opportunity to meet sake makers in person. 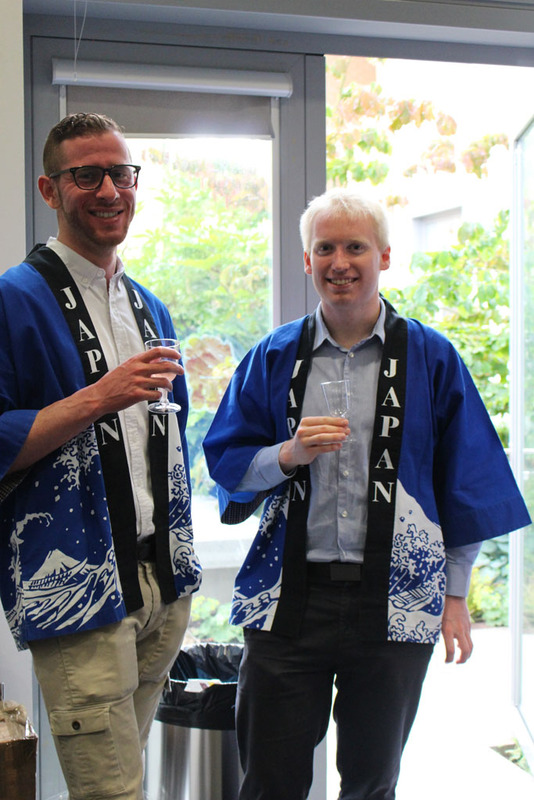 In an effort to spread the word of sake to the wider audience throughout the world, these young multi-national students have been introduced to Japan’s national beverage. 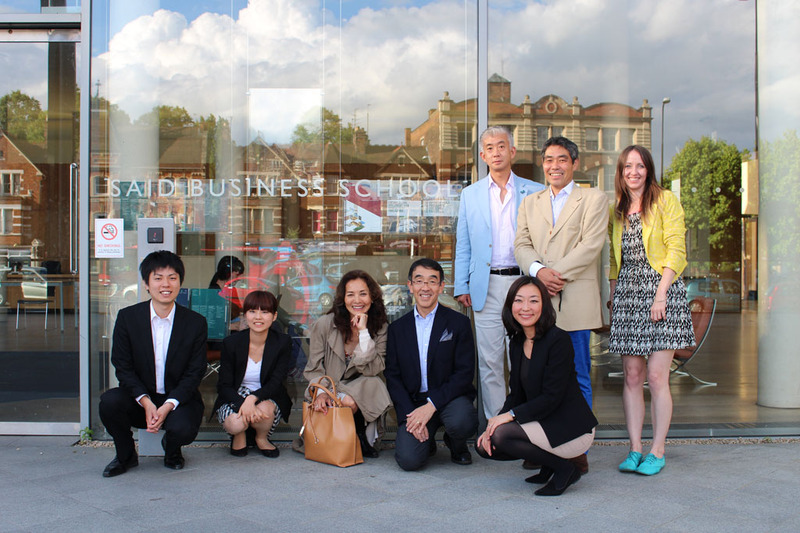 Sake Samurai UK collaborated with Mr Takeshi Chino, who is an MBA student of the Saïd Business School, to organise this event. 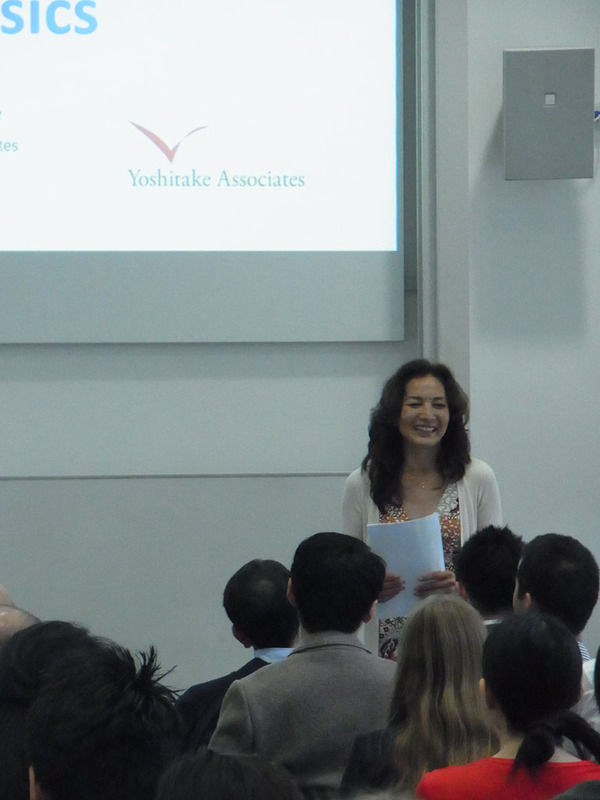 Ms Rie Yoshitake from Sake Samurai UK and Ms Asami Tasaka from World Sake Imports gave a thorough overview of sake and its background. 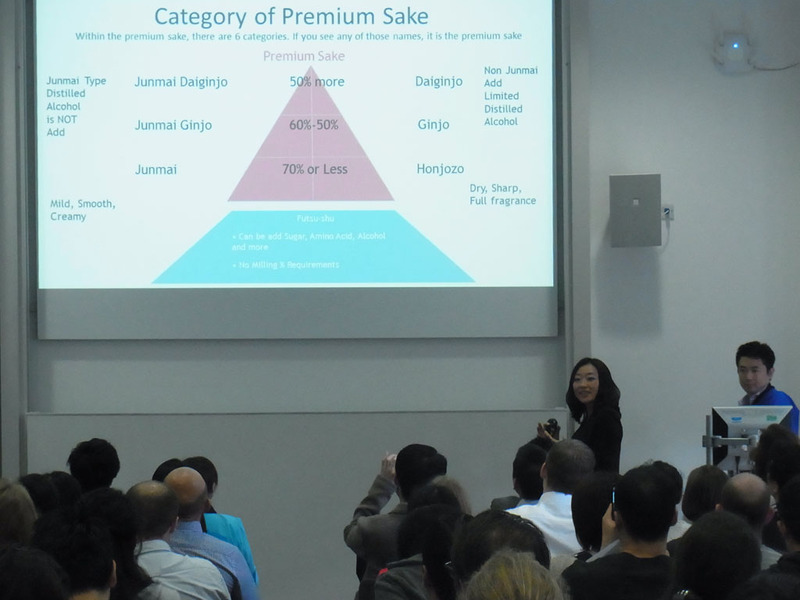 Then five sake makers captured the imagination of the audience with more information on their specific breweries and products. 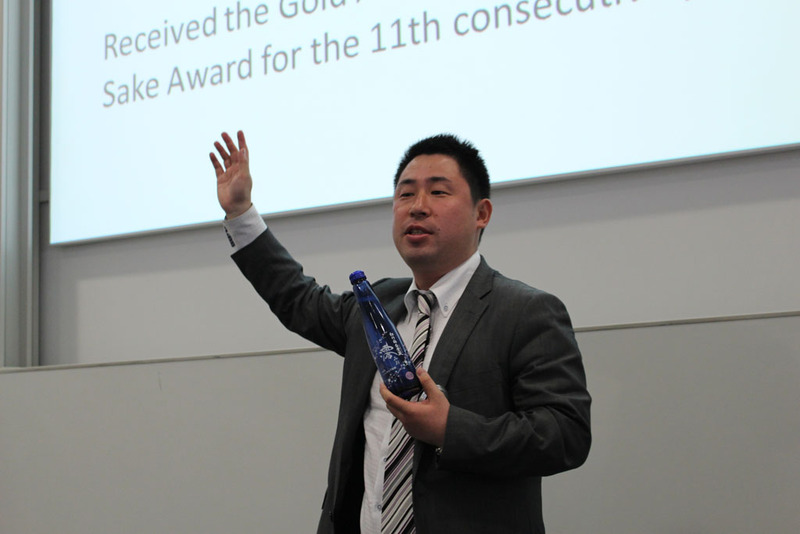 Mr Masafumi Ando from Takara Shuzo introduced Mio Sparkling sake and Daiginjo Muroka Genshu in a most enthusiastic manner. Shirakabegura brand was created in 2001 in Nada as a part of giant sake maker Takara Shuzo. This low-alcoholic sparkling Mio is becoming increasingly popular outside Japan as a new sake for a new sake-drinking generation. 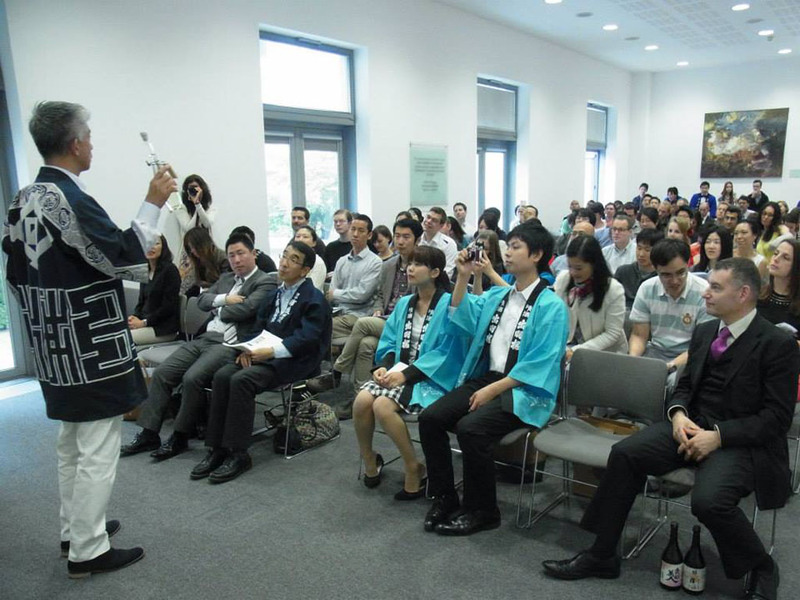 Mr Koichi Saura, the founding chairman of Sake Samurai and the 13th generation of the Urakasumi brewery, offered a comprehensive presentation on his 300-year-old company. His signature sake, Urakasumi Zen, and the best-selling and classic Urakasumi Junmai, were selected to represent the style of the elegant and timeless Urakasumi brand. 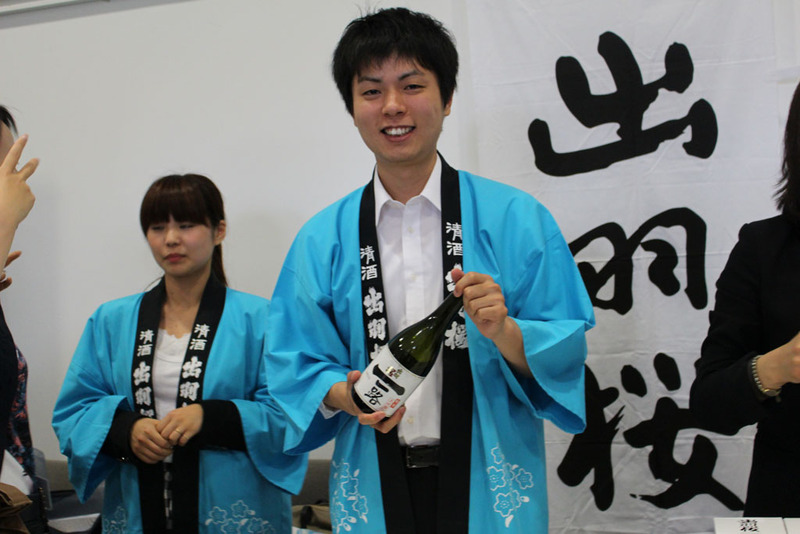 A newly married young couple of sake makers, Akari and Shotaro Nakano from Dewazakura, were the delight of the event and represented hope for the diminishing numbers of sake brewers and for the future rejuvenation of the sake industry. 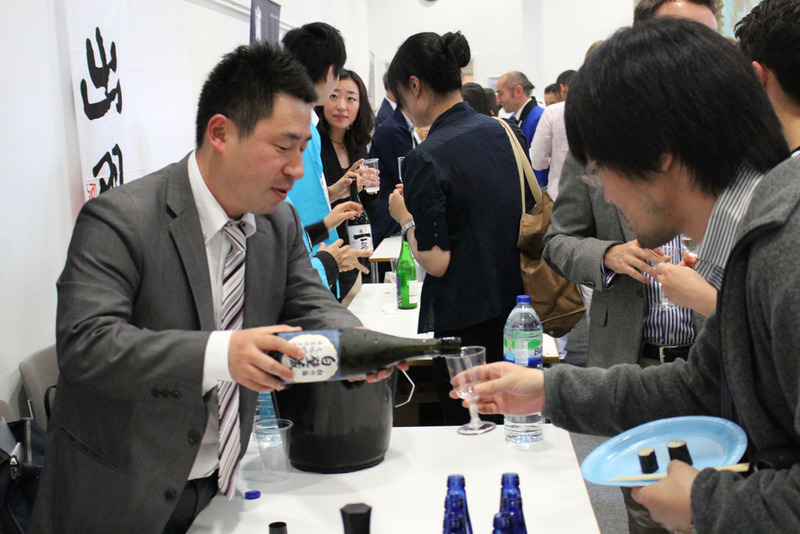 Tobiroku, an unpasteurised sparkling sake, showed a contemporary style of sake which pairs marvellously with various dishes, as an alternative aperitif to the more predictable French champagne. As a contrast, the former IWC champion sake, Ichiro, showed the assertive opulence and finesse of the products of traditional sake-making. 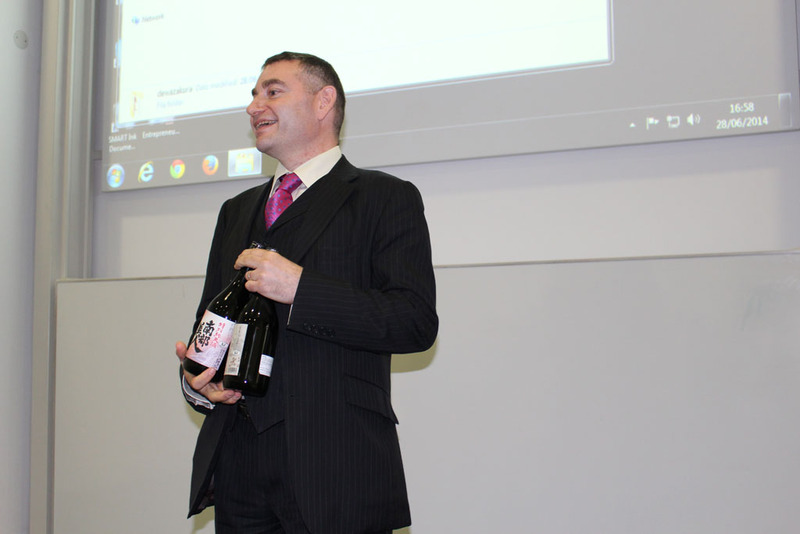 Nanbu Bijin from Iwate was illustrated in uplifting fashion by Mr Adrian Cohen from Tazaki Foods, using a video of the sake maker Mr Kuji working in the brewery. 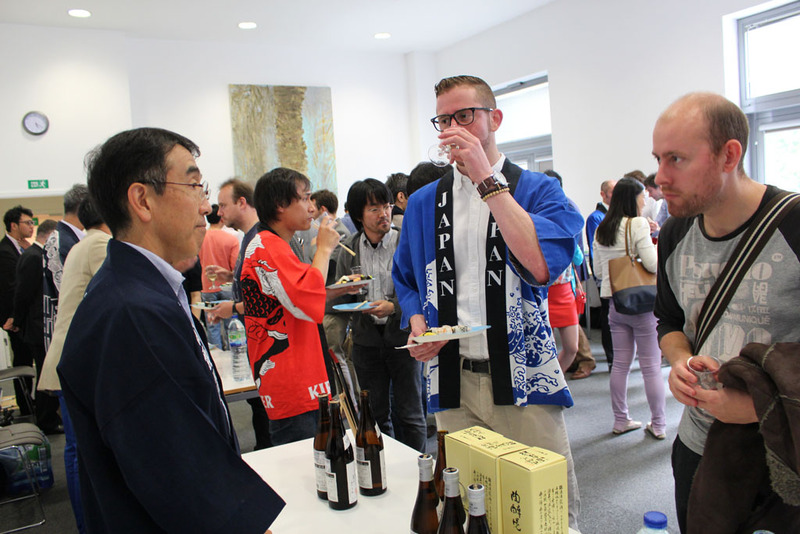 Adrian, being a bilingual and cross-cultural university educator, was able to introduce the Nanbu Bijin sake through the prism of his long experience in Iwate prefecture. 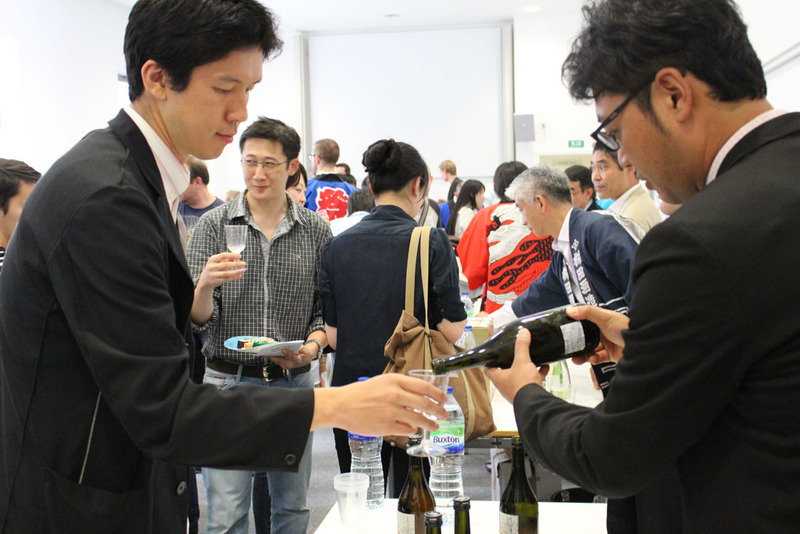 A floral and robust Tokubetu Junmai, and a popular dessert sake, plum-infused Nanbubijin Umeshu, were selected for the event. 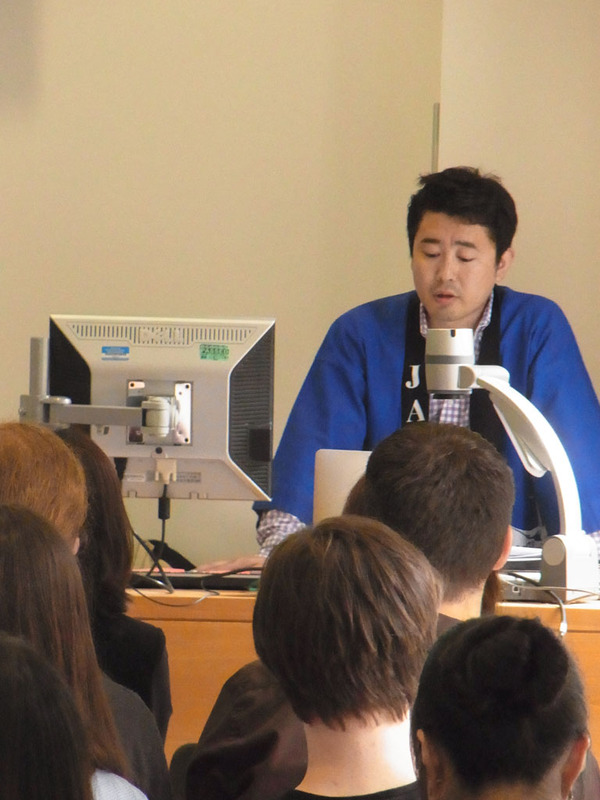 Lastly, Mr Ryuichiro Masuda of Masuizumi grasped his two sakes in his hands and gave a short but memorable presentation. 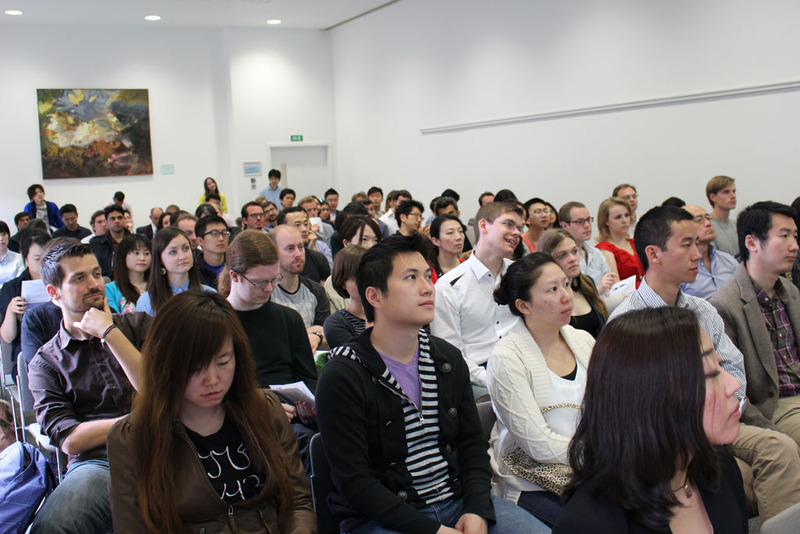 The showcased sakes were from his special selections and added diversity to the range of sakes at the event. Attractive Kijoshu is an exceptional product which is made from sake instead of water. Mr Masuda also presented a very rare Junmai Daiginjo 1999 which was brewed 15 years ago and matured under controlled conditions.